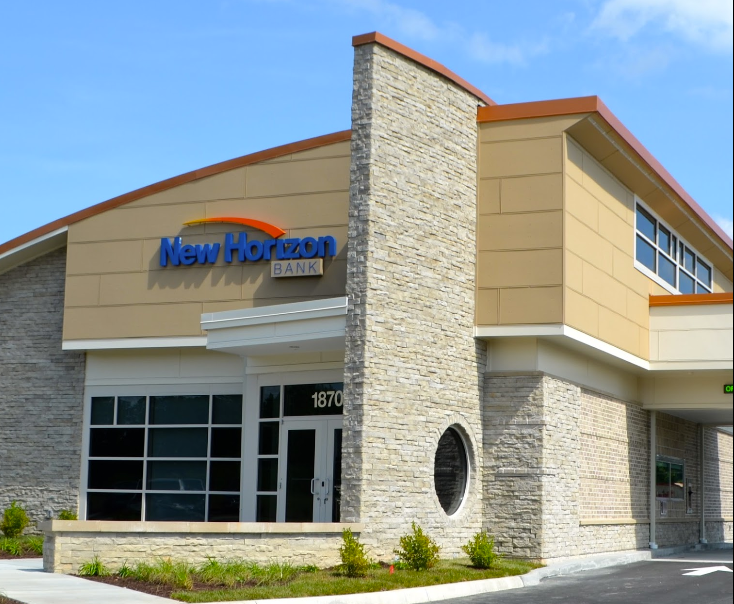 Congrats to New Horizon Bank on the Grand Opening of their new Powhatan-based branch! Our team had the pleasure of designing this facility, which serves as the new prototype for future branches. 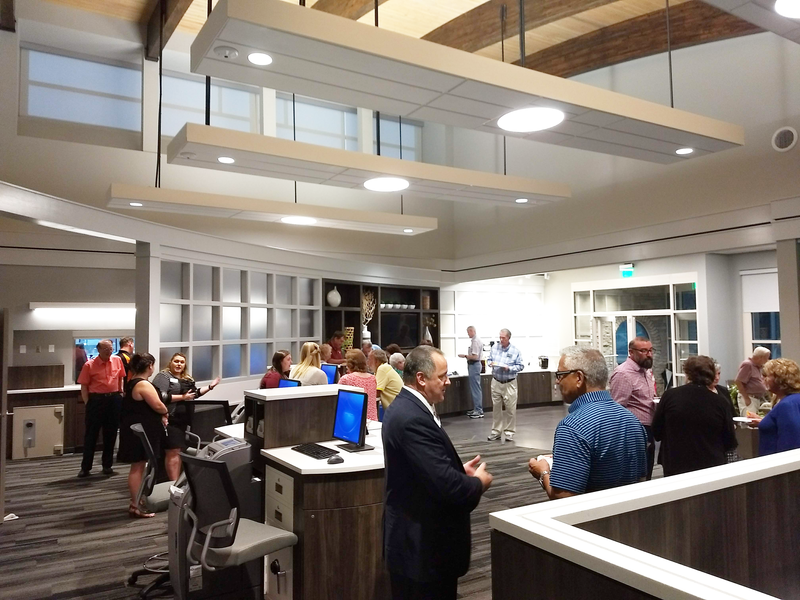 The final design reflects the forward-thinking approach of concierge banking while also maintaining the hands-on feeling that rural banks provide to customers. 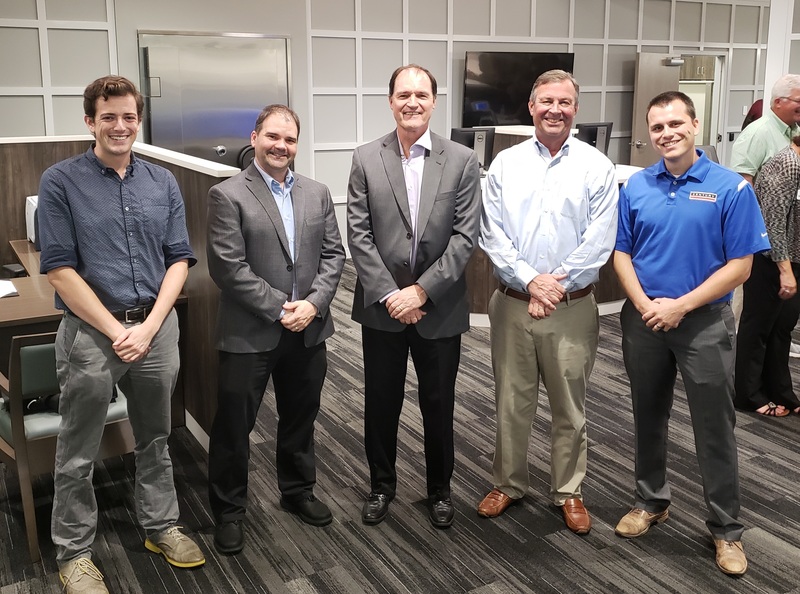 Left to right: Brendan Westfall (Commonwealth Architects), Marcus Hanlon (Commonwealth Architects), Lee Shadbolt (Commonwealth Architects), Mark Meland (Century Construction), and Chris Howell (Century Construction).